It all began with just a vision. In the year of 1981, Mr. GL Mirchandani and Mr. Vijay Mansukhani started a company called Onida with just a goal of manufacturing television sets and going beyond convention. 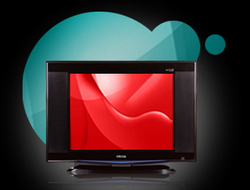 By the end of that year, we started assembling television sets at our factory in Andheri, Mumbai. With the passage of time, superior products and the combination of a distinctive voice, a cutting-edge advertising strategy, and purposeful marketing ensured that Onida became a household name.